Another Successful Year for Inclusive Sport in Further Education. The 2018 Natspec Games have proven to be a resounding success after welcoming more than 270 learners and 29 specialist colleges for the inter-college inclusive sporting event. 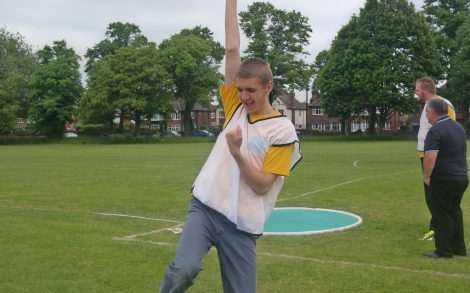 The games were held by host colleges including: the Royal National College for the Blind (RNC) in Hereford, Communication Specialist College Doncaster, Havant & South Downs College and Sportcity in Manchester organised by Seashell Trust. 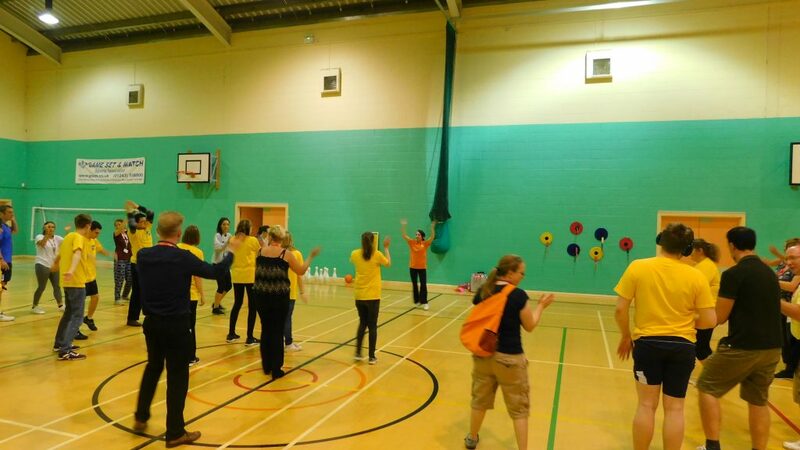 Students warming up and participating in activity at the 2018 Natspec Games in Havant & South Downs College. The games took place between the 9th and 25th May 2018, bringing together local colleges and learners with a range of abilities to participate in inclusive sport and try new experiences. The activities were diverse and suitable for each learner and included boccia, shotput, athletics, tennis, cycling, archery and football to name a few. 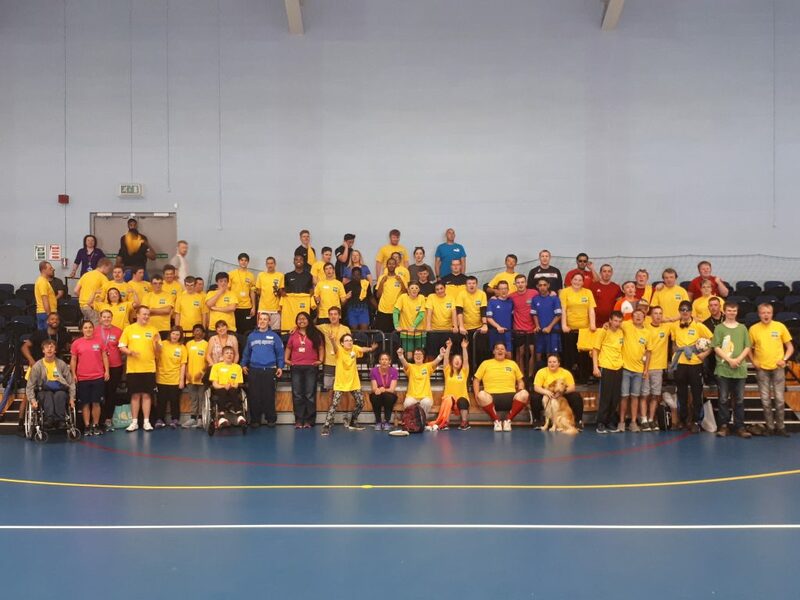 Group photo of participating colleges and students at the Natspec 2018 Doncaster Games. The events received praise from learners, volunteers and teachers alike. Dan Stephen, a lecturer at Linkage commented that the games put the learners through their paces and provided a healthy challenge. 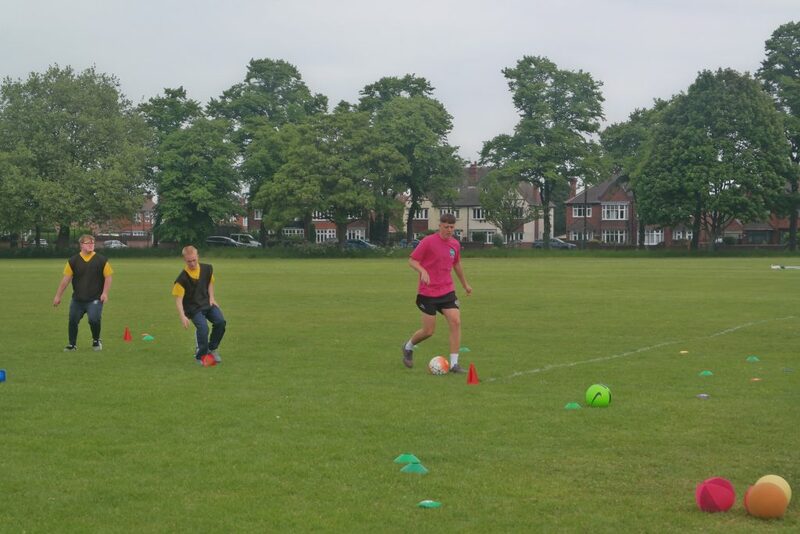 As we approached him, his students were playing football and he said it was great they were able to utilise the space and facilities at Doncaster, which were larger and able to accommodate a wide range of users. Students playing football at the Doncaster games. Lauren, a teacher at Seashells Trust also weighed in, ‘It brings a lot of value to our learners with Autism. It helps them with socialising and gets all students involved and is really accessible – all the students love it’. The Natspec Games is in its third year and is a national tournament offering students with a range of disabilities and learning difficulties the same opportunities as everyone else: to get involved in sports. 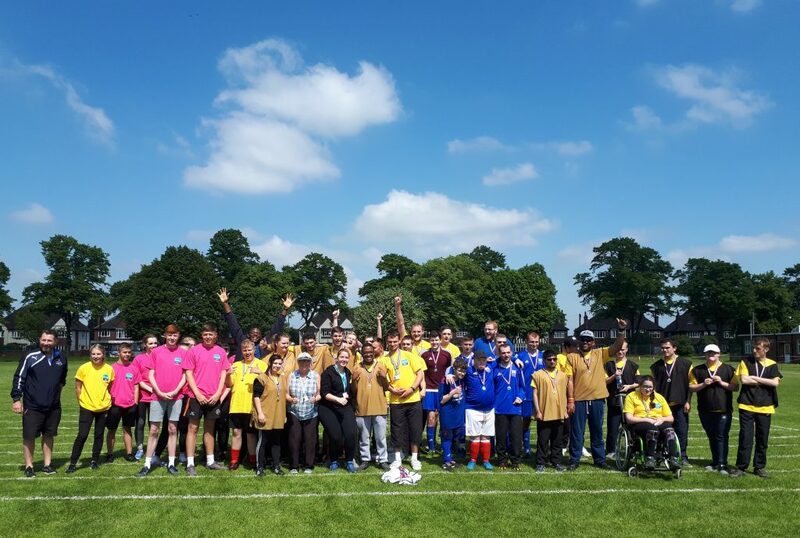 Group photo of participating colleges and students at the 2018 Natspec Games in Hereford at the Royal National College for the Blind (RNC).